I started with watercolour paper and applied a layer of sewing pattern paper. 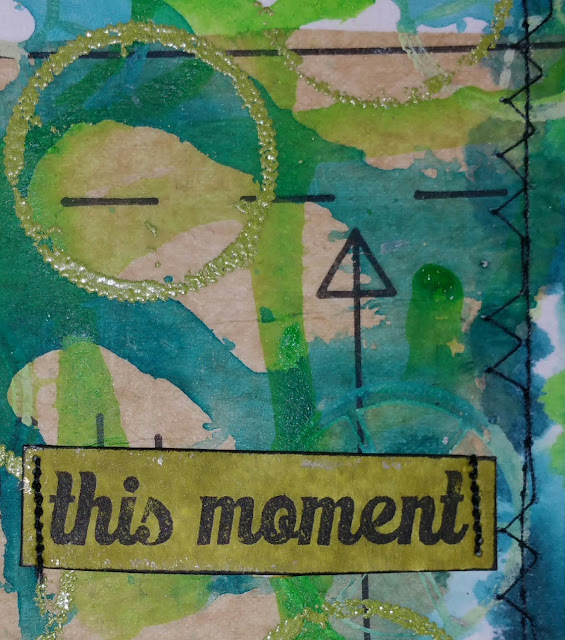 I decided to try stamping with the end of a cotton reel as I thought this would fit nicely with the theme of my card. 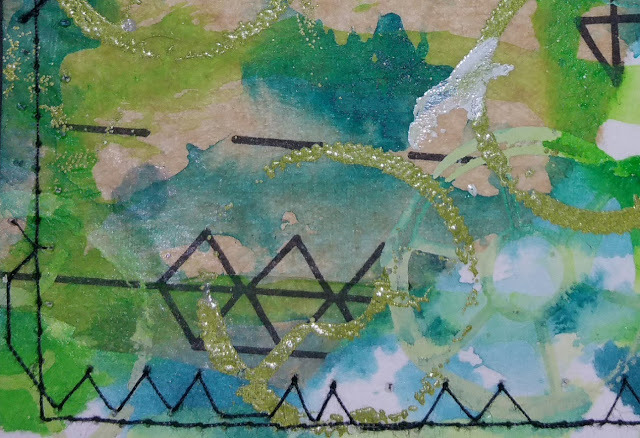 It worked quite well with the paint (very subtle in pale green) but not quite at defined with the clear embossing stamp. I think the stamp pad is a bit squishy and the reel wasn't completely covered - still OK though. 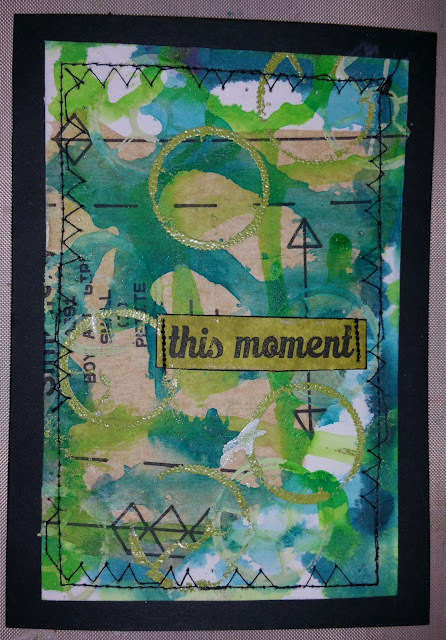 I dripped Liquitex ink and sewed around the edge as well as sewing on the sentiment. Maybe not as CAS as it is supposed to be - my first time at this challenge. It is tricky sometimes to keep is simple, especially as I'm trying to get better at layering! Gorgeous background, and I love the stitching around the border! Thanks so much for playing along with us this week at Addicted to CAS! Thanks Barb - finding new challenges keeps me thinking and being creative. You did a phenomenal job on this card! I adore the color palette you chose and how well you blended the colors. The addition of the black touches keeps the whole thing grounded and wonderfully whimsical. Your stitching is so perfect! Love the wonky angles and I thought it was so clever of you to stitch on a background that has a sewing-pattern theme! 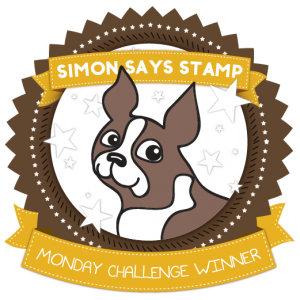 This was a treat to see and I'm so glad you shared your talents with us for this week's Simon Says Stamp Monday Challenge! Thanks so much Andrea for your kind encouraging comments.